There’s a lot of Lush products I haven’t tried – their range of face masks being one of them – so I decided to remedy this with a little trip to Lush a couple of weeks ago. They seem to have quite an extensive range but I decided to pick up Mask of Magnaminty for a few reasons. It’s marketed as a face and body mask, which I’ve never seen before and I find I get some clogged pores and blemishes on my chest so this looked perfect for my first venture into their face masks. 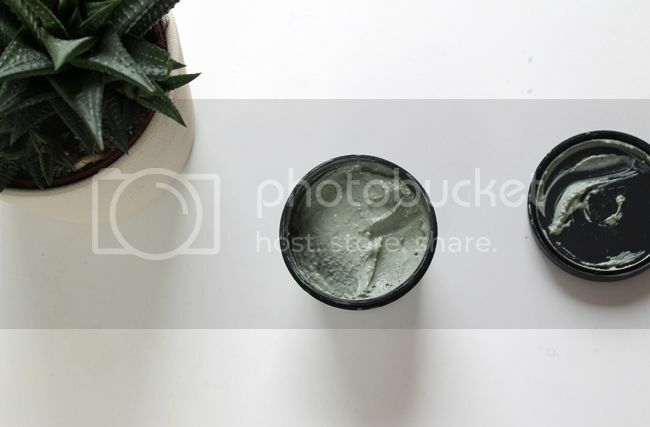 The Mask of Magnaminty contains peppermint oil, marigold oil and chlorophyllin as well as honey which has soothing and antibacterial properties and kaolin to absorb oil and cleanse deeply. It smells deliciously minty and surprisingly isn’t irritating to my sensitive skin but actually cooling and refreshing. It’s lovely, thick and creamy that’s also quite gritty thanks to the ground Aduki beans and Evening Primrose seeds. It takes a little bit of rinsing off, so it’s probably best using a cloth but afterwards my skin feels soft and smooth without feeling dry and any blemishes feel smaller and my skin is definitely calmer. 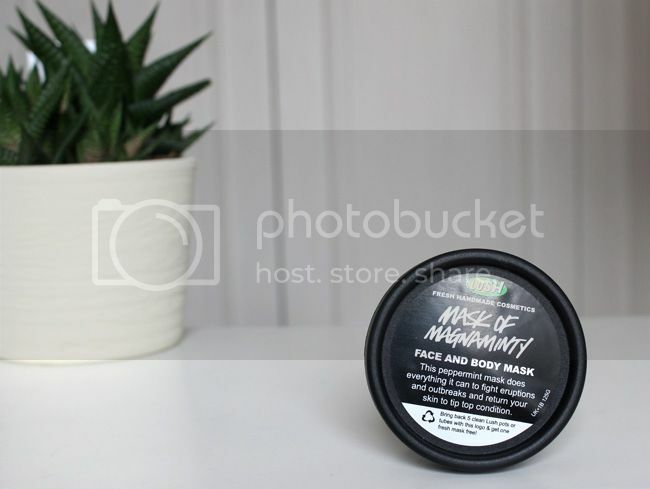 I would definitely recommend picking up Mask of Magnaminty, it’s a really great budget mask for tackling breakouts and I’d say although it’s different it’s a cheaper and decent alternative to the Origins Out of Trouble Mask. 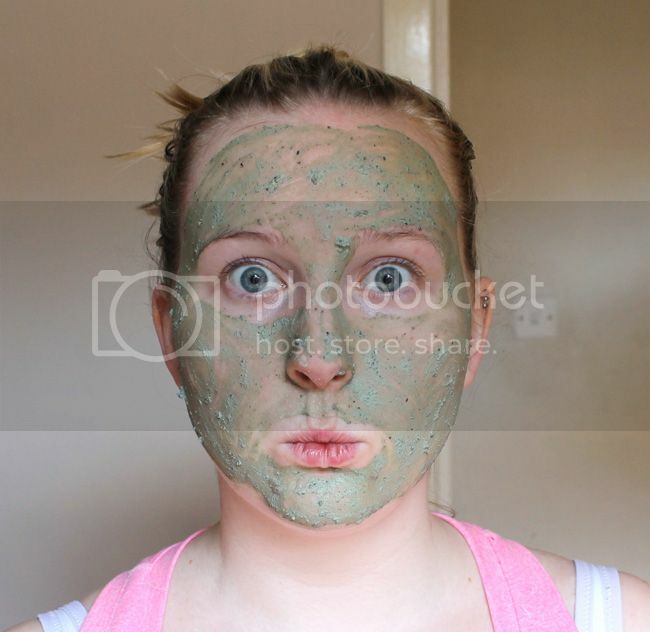 I keep hearing such amazing things about this mask – it’s definitely time to pick it up in my next little trip to Lush! Fab post lovely, I’m a big fan of this mask and I agree the smell is so delicious and I love how my skin feels after applying.